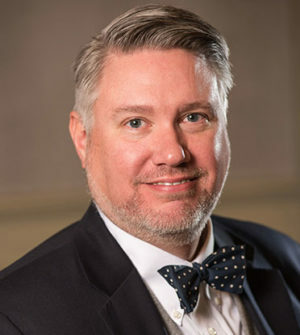 Doug is a Co-Managing Partner of Shenker Russo & Clark LLP, a Government Affairs and Hospitality Law Firm with nearly twenty Attorneys and Professionals. Since founding the firm in 2015 with Theresa Russo and Cindy Shenker, Doug has guided the firm’s growth and solidified its position as one of New York State’s most respected and successful firms. As Co-Managing Partner, Doug leads the Government Affairs team and also focuses on key client relationships, attracting and retaining top legal talent to serve the firm’s clients, and helping develop the firm’s s Lobbying Practice. Doug is committed to preserving a culture that fosters collaboration and an entrepreneurial spirit, earning “Best Places to Work” awards two years in a row by the Albany Business Review. Doug has an unparalleled background in deftly maneuvering through the byzantine byways of the New York legislative and budgetary processes. Doug’s ability to negotiate legislation on a highly technical level, his grasp of the legal intricacies of the state budgetary process, and the working relationships he has nurtured with key New York State policymakers have made him the go-to attorney for his clients. He played a vital role in several significant legislative achievements for clients ― helping draft legislation to make major updates to the automobile dealer franchise law, drafting legislation to obtain appropriate tax treatment for a financial services client, securing over $138 million in state economic development funding for a major project in the City of New York, and working with the attorney general’s office on legislation establishing guidelines for the use of endowment funds. As a seasoned legislative expert,Doug monitors every bill coming out of the Legislature and analyzes the state budget for underlying policy implications. He can also provide additional general counsel services such as writing newsletters and board reports. Prior to founding Shenker Russo & Clark, Doug was a key player with Wilson Elser, building years of legislative experience that quickly made him a linchpin of the firm’s Government Relations practice. Employing his unique skill set, Doug has helped clients in fields including automobile dealers, telecommunications, health care, financial services and banking, insurance and higher education, with the legislative process. He began his career as a graduate scholar in the Assembly Codes Committee, and later served as a senior associate counsel to the Assembly Ways & Means Committee, advising staff and legislators on legal issues related to the state budget. Doug was also an assistant counsel in the Assembly Majority Leader’s office, managing the flow of bills on the Assembly floor. Doug participates each year in the CPHP Workforce Team Challenge. An avid reader of history, Doug lives in Altamont.